We have received your message, thank you for your feedback. We value your opinion and would love for you to share it! 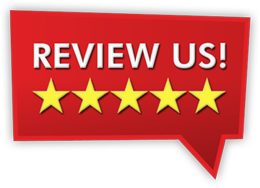 You can copy the text of your review below. Novelties Unlimited is always a business to find a costume or accessory needed. My daughter was Pinocchio in her school's spring musical last week and we were in need of a Pinocchio nose. Betty researched where they could purchase it, contacted me quickly and procured the accessory within the week. In addition, the product was less than $8! The staff is always so friendly and helpful anytime I go to the store on 21st. Thank you again for helping us make her Pinocchio costume complete! I love this place! I live in Chicago and needed to send something fun to my son,for his birthday. Betty was so helpful! My son sent me pictures when he got the balloons.Betty picked out all of the balloons that would be right for an adult male. They were perfect!!!!! The customer service at this place ROCKS! Thank you so much Betty. You really went above and beyond! You were a big help to me in assembling an eye-catching table display. You came up with some very creative ideas. Always ready to help and give ideas on whatever idea I have tried to make happen! From blue and gold face paint (Navy CPO events) to preschool fun and games they provided excellent help!